World first denseflow pipe "Dense-Flow-System-XTreme"
STAG has been using steel denseflow pipes for the pneumatic conveying of bulk material for many years of success. However, the service life of these denseflow pipes is limited in the pneumatic conveying of abrasive bulk materials. 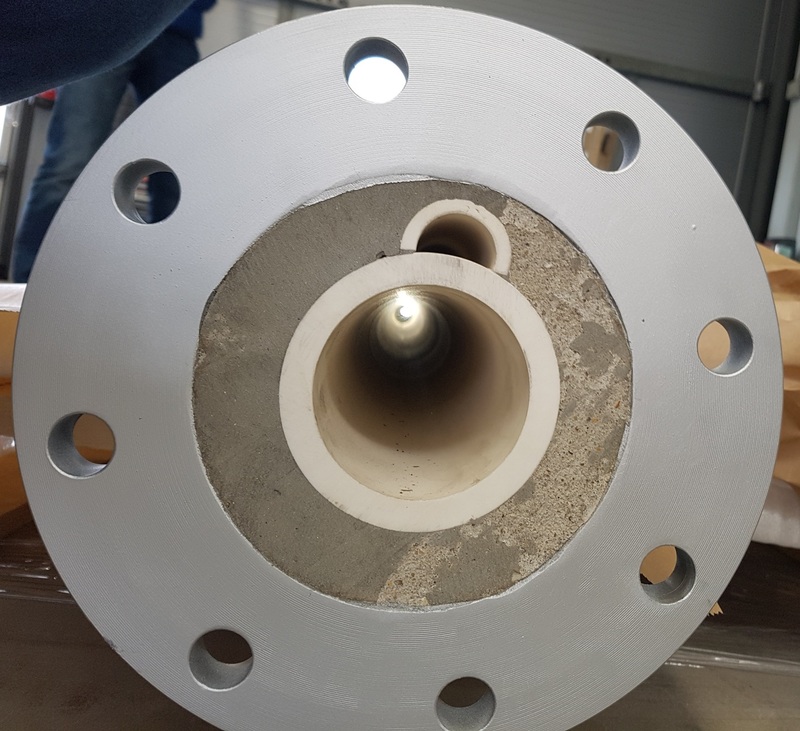 STAG has now successfully completed the development of a ceramic dense flow pipe and has applied it for a patent. 2019 © STAG AG, Alle Rechte vorbehalten.